A huge thank you to all the girls at Swift. I honestly thought the process would be much more stressful but they were all so lovely and helpful! Would definitely recommend. After receiving a few pitches from other estate agents, once we met Nick Swift we were so impressed by him that it was definitely the stand out choice. Melanie and the sales girls were absolutely brilliant. The final hurdle was not so stress free, and whilst I did become quite stressed at times with poor Tessa, I understood she has the hard job to do, getting all parties to agree. The communication throughout was excellent and I have learnt to be strong in your decisions and to not let it get on top of you. 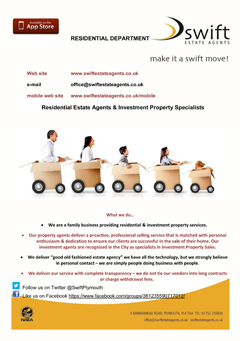 If we move again or have another property to sell it will 100% be with Swift! Excellent service from start to finish. The staff, especially Melanie, are extremely informative and answered any query I had regarding the property with a knowledgeable, no BS approach. 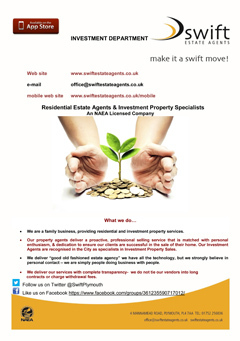 As a first time buyer I would recommend Swift to anyone looking to buy a property.